No matter what team they?re rooting for, this dip will be a fan favorite! Dig into this dip with some tortilla scoops. Optional: Add a layer of taco meat, shredded chicken or jalapeno peppers. Evenly spread the refried beans in the bottom of mason jars. 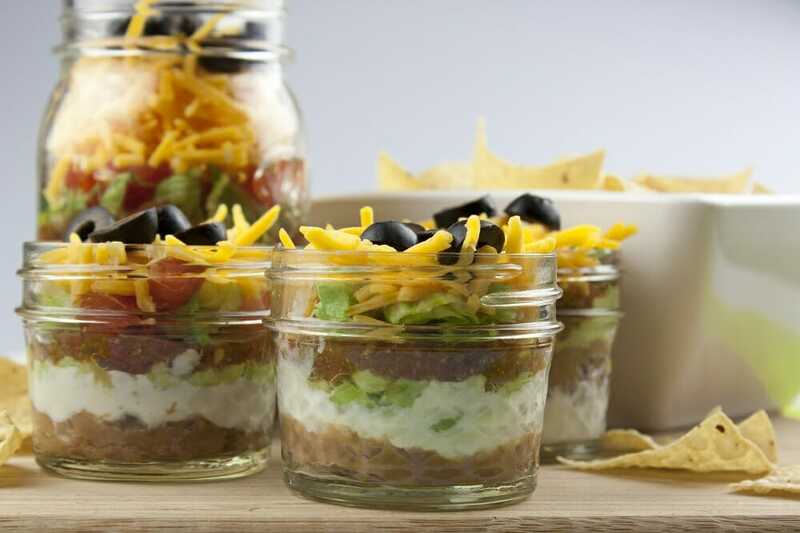 Continue by adding a layer of each of the following: sour cream, guacamole, salsa, lettuce, tomatoes, cheese and top with black olives Serve with chips.